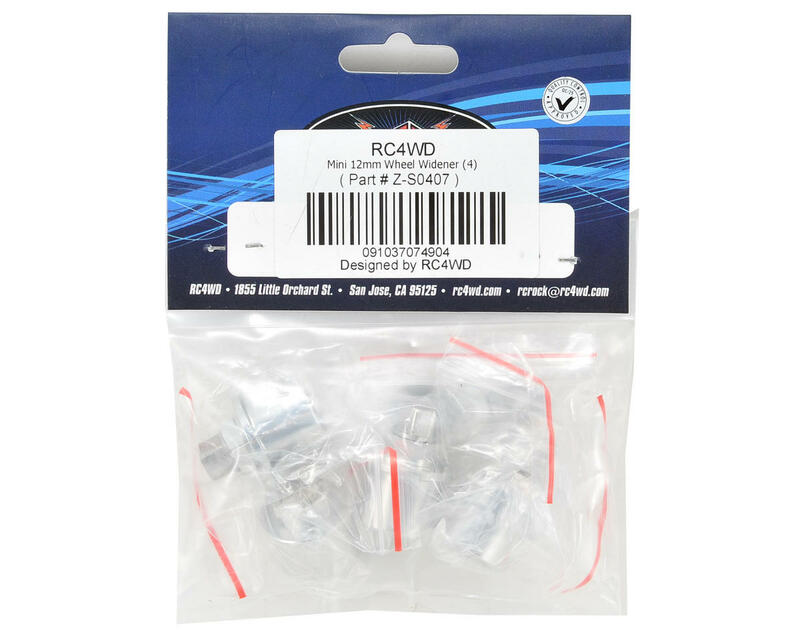 This is an optional RC4WD Mini 12mm Wheel Widener Set. 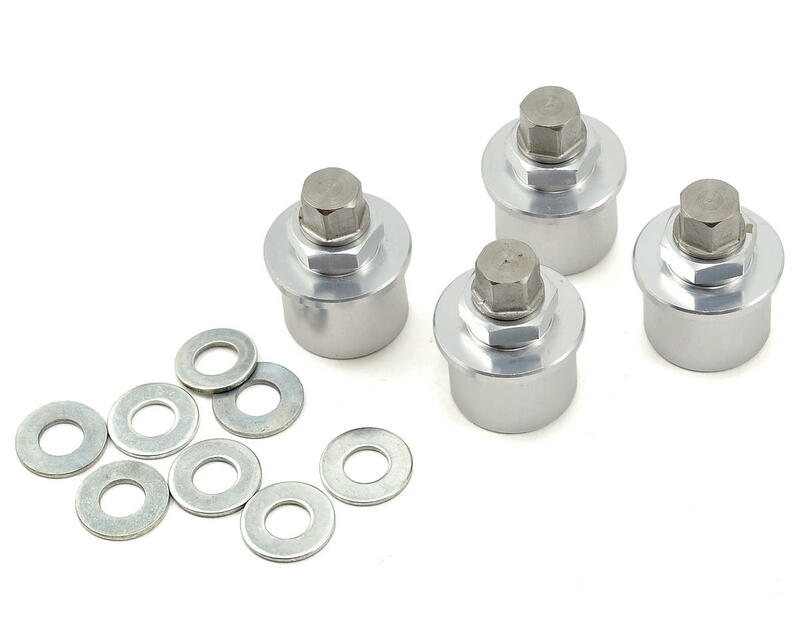 These work with on any 12mm back hex wheels, such as those on Tamiya F-350, Tundra, Jeep, Axial AX10, Losi Crawler, RC4WD Timberwolf, and Bully vehicles. Works great with my SCX10. Best part is you use the stock 12mm hub to mount these. Just be sure to use the provided washers to keep from over tightening them. If you don't tighten them enough they will back themselves out. they come with multiple sized washers to use. Very nice piece. If you are using these on the Losi worm drive axle (Night Crawler se in my case), you need to remove .020-.030" from the inside of the widener to clear the C's. As a referance, all of the tapered portion. This does not effect the outboard width of the part. Still gives 12mm of additional width. Always check clearances after installation.